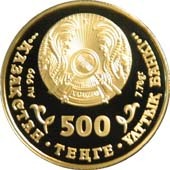 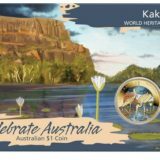 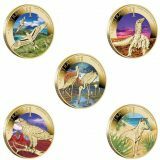 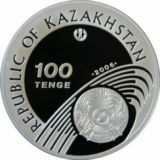 Averse: State Emblem of the Republic of Kazakhstan, indication of metal and its standart «Au 999», weight of the coin «7,78gr.», face value «500 TENGE», elements of national pattern, neme of the issuing bank in Kazakh. 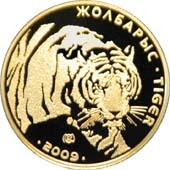 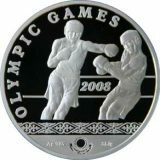 Reverse: image of a tiger, trade mark of Kazakstan Mint, name of the coin in Kazakh and in English «TIGER» year of coinage «2009». Images on both sides are relief .